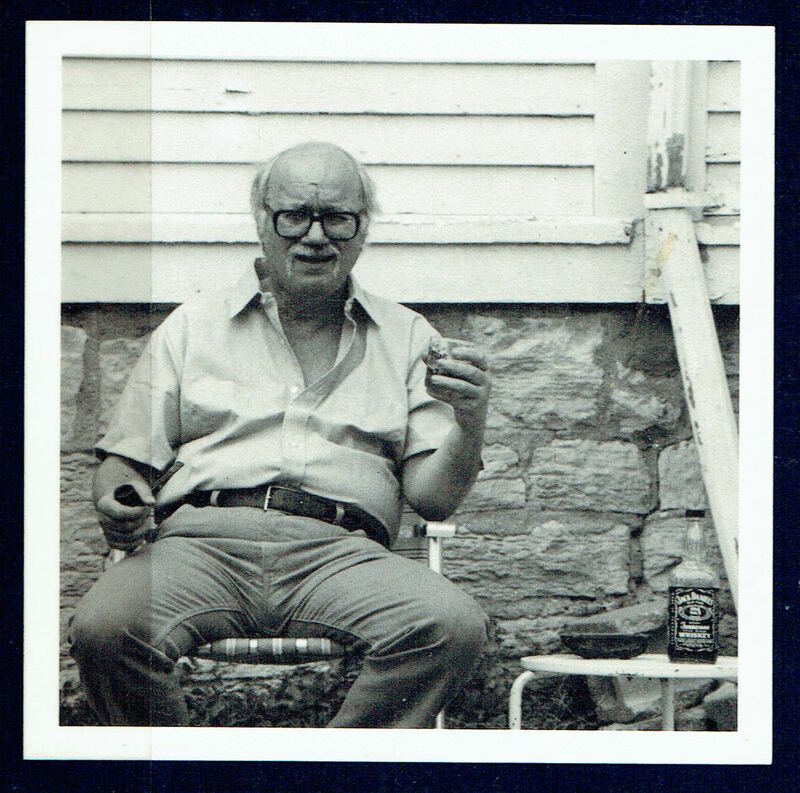 Dave Etter, one of the great and original poets of the midwest, died Friday, July 10th. His funeral will be held in Lanark, Illinois, on Wednesday, July 22 at 2:00 pm, reception to follow. I met Etter for the first time October 13, 1995 in Marshall. Following his reading, he signed a copy of Alliance, Illinois — adding “on a fine afternoon in Minnesota.” Later, that same fine day, I’d get a glimpse of Etter seated next to Bill Holm at the Silver Dollar bar, an iconic memory. A second meeting came years later. In September, 2012, I drove to Lanark to deliver copies of Etter’s Blue Rain. What a memorable visit that was — meeting Peggy, scratching Georgie the cat under the chin, listening to Etter talk and tell stories. Publishing Dave Etter will remain one of the great privileges of my life. A lasting regret will be not following through on plans for another visit to record Etter reading a selection of his poems. I don’t shed too many tears, but a few fell this morning as I paged through a few of my favorite books and read some favorite poems. This poet was one of a kind, and will be missed. and the town went gloomy. I’ve loved Dave Etter’s work ever since I encountered it in the pages of Dakotah Territory magazine in the 1970s. No one wrote about people better than Dave Etter. His sympathy and compassion for the lives of ordinary human beings illuminated every poem he wrote. Thomas McNulty says in his memoir that Etter claimed he never wrote about real people. But I think everyone who grew up in a small Midwestern town recognized these people and knew them as the neighbors and family they became. Dave Etter was kind and encouraging and in the midst of my own desperate illness offered words of comfort. His last card to me sits on my desk, my reply to it half finished. I am heartbroken. America has lost a great poet. I saw Dave Etter read at Southwest State University in Marshall, Minnesota. He had the Midwestern stuff down pat. Whenever he was in town, I would try to make it every time. He was truly one of America’s great poets.